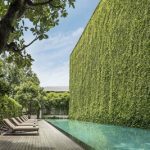 Earlier this year the top management of luxury boutique hotel group 137 Pillars Hotels & Resorts held a “Green Inspirations” meeting to discuss ways to reduce the impact of their properties on the environment. This month in a significant development, the brand finally eliminated single-use plastic in its hotel rooms and restaurant outlets, and now continues to reduce its environmental footprint, increase CSR activities and review other sustainable purchasing options. 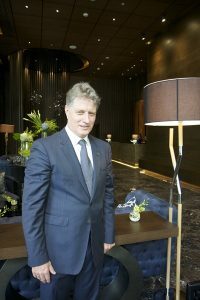 Currently the luxury hotel owner and management company operate two five-star hotels in Thailand – one in Bangkok, the other in Chiang Mai – with further properties both at home and abroad, expected to be announced in the near future. “This involves us all, and the solution has to start with education. If we can change the mindset of a few people so that they adopt more sustainable practice in their daily lives, then all of us will benefit,” said Mr. Chris Stafford, COO of 137 Pillars Hotels & Resorts. Since it opened in 2011, the historic luxury boutique hotel 137 Pillars House up north in Chiang Mai has won much acclaim for its many initiatives to reduce the amount of waste it generates. All organic waste is either composted or turned into biochar (charcoal), which is mixed into the compost to make it richer and more nourishing for plants. This nutrient-rich compost is then used for resort’s lush landscaped gardens and grounds. It is also used in the ever-expanding vegetable and herb garden, a source for the delicious produce that the chefs and bartenders at the resort have come to rely on. The hotel also employs reusable woven bags instead of plastic garbage bags for waste collection, and vendors and suppliers are encouraged to deliver fresh vegetables and fruits in reusable string bags. One of the most important initiatives that most guests may not even be aware of, is that the award-winning resort hired an internationally acclaimed mosquito expert to sustainably eliminate/limit mosquito breeding areas without the use of chemical sprays; fogging is now required just once a month. The hotel staff has further shared this knowledge and method with people living in the surrounding areas, thus broadening it into a community initiative. “We are very pleased with the results so far, but there is still a lot to do. Our next objective is to eliminate individual plastic shampoo, conditioner and lotion containers. We need to find an option that ticks all the boxes, and that can take time,” said Ms. Anne Arrowsmith, General Manager of 137 Pillars House Chiang Mai.